Whether you're one of those tinted chapstick people, or a ruby red lipstick lover, there's something you should know. That stuff you're putting on your lips is going into your mouth. And it could be poison. Dr. Hammond’s new study, published in May in the journal Environmental Health Perspectives, found traces of cadmium, cobalt, aluminum, titanium, manganese, chromium, copper and nickel in 24 lip glosses and eight lipstick brands. The researchers picked the products because they were favored by teenagers at a community health center in Oakland, Calif. The girls reported reapplying lipsticks or glosses as often as 24 times a day. And there's the issue — that reapplication. It's not harmful to be exposed to trace amounts of metals. In fact, our bodies need metal. But repeatedly applying lipstick with metal means that you'll inevitably ingest or absorb more metal than may be healthy. It's best to limit reapplications to 2-3 times per day. In the F.D.A.’s 2011 analysis, the highest lead reading was found in a deep floral pink lipstick, and the lowest in a neutral lip balm. 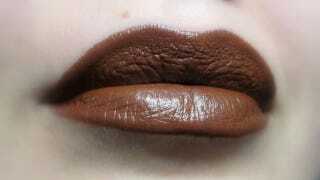 A European study found that brown lipstick tended to be highest in lead, while researchers in Saudi Arabia reported that dark colors averaged 8.9 ppm of lead, compared to .37 ppm in light-colored lipsticks.